The Flight 93 / Shanksville case continues to represent the weak link in the Bush Administration’s “Great 9/11 Delusion” with the very least amount of real evidence to support the Official Cover Story. Jim Meigs and his Popular Mechanic Editorial Staff were willing to present their Shanksville case apart from the presentation of a single picture of Flight 93 crashed anywhere. 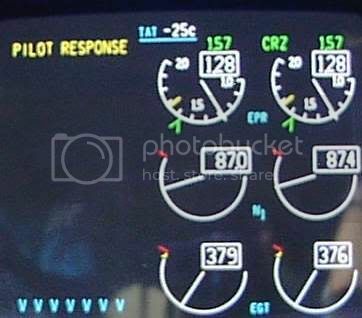 Cockpit recordings indicate the passengers on United Airlines Flight 93 teamed up to attack their hijackers, forcing down the plane near Shanksville, in southwestern Pennsylvania. 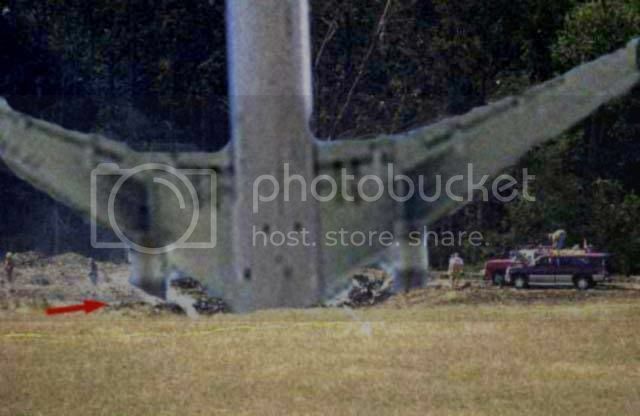 Every word of cockpit recording data can possibly be truth, but all of that evidence combined does not place Flight 93 in this empty hole in this empty field outside Shanksville, Pennsylvania on 9/11 or any other day. Go to the Wikipedia website and click on Government Exhibit P200057 and utilize the ‘zoom’ option to realize even this evidence reveals nothing more than an empty hole in an empty field. A closer look at the 911Truth evidence reveals grass growing on all the inclines down to the very bottom of the empty hole. Note the absence of any Jetliner Debris anywhere. We are talking about a 125-feet wide and 155-feet long almost 50-feet tall 100-ton Jetliner ( http://911research.wtc7.net/talks/noplane/missilev757.html ) with massive wing sections carrying twin 6-ton Rolls Royce engines, fuselage, seats, cargo and huge tail section that our PM Editors never saw in any of these images. Allow the short video to play again and again to realize the grass is growing on all the slopes and again no Jetliner debris is present anywhere. The News reports presented on 9/11 confirm that you are looking at a tiny 20-feet diameter hole very much empty and void of any Jetliner. Our Popular Mechanic Editorial Staff will go to great lengths to talk all around the Empty Hole Shanksville Evidence without ever placing a crashed Flight 93 anywhere. The PM Editors >> But conspiracy theorists assert Flight 93 was destroyed by a heat-seeking missile from an F-16 or a mysterious white plane. These PM Editors are more concerned with hiding the 911Truth than actually proving the whereabouts of Flight 93. Always be wary of anyone willing to label 911Truthers as “conspiracy theorists,” because every word from these Editors represents component parts of their own Conspiracy Theory. 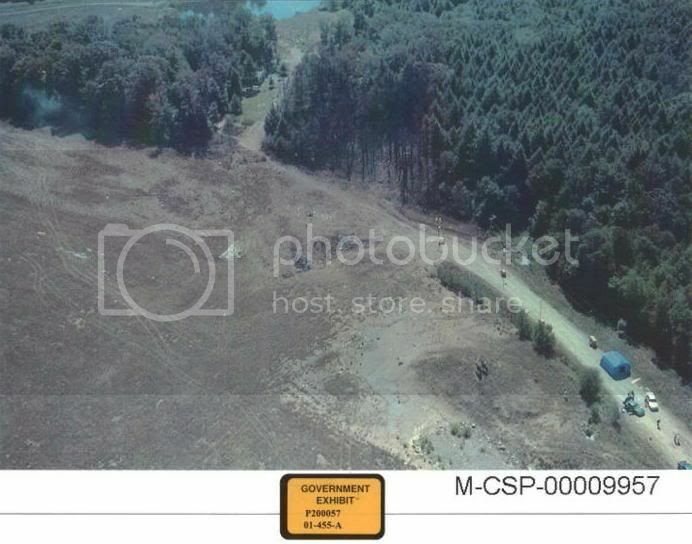 Speculation about how Flight 93 was ‘shot down’ ( http://www.whatreallyhappened.com/shootdown.html ) place the missing Jetliner nowhere near this empty hole in this empty field outside Shanksville, Pennsylvania on 9/11 or any other day. The PM Editors >> Some theorists add far-fetched elaborations: No terrorists were aboard, or the passengers were drugged. The wildest is the "bumble planes" theory, which holds that passengers from Flights 11, 175 and 77 were loaded onto Flight 93 so the U.S. government could kill them. Some Popular Mechanic theorists add far-fetched elaborations that a 100-ton Jetliner crashed into this empty 20-feet diameter hole in this empty Shanksville field by characterizing the interpretations of actual 911Truth evidence using deceitful underhanded diversionary disinformation trickery. The government invented this Shanksville HOAX and these PM Editors are running diversion for the real “Inside Job” terrorists by injecting Official Cover Story Propaganda into the “Opinion Molding” Media Mainstream. 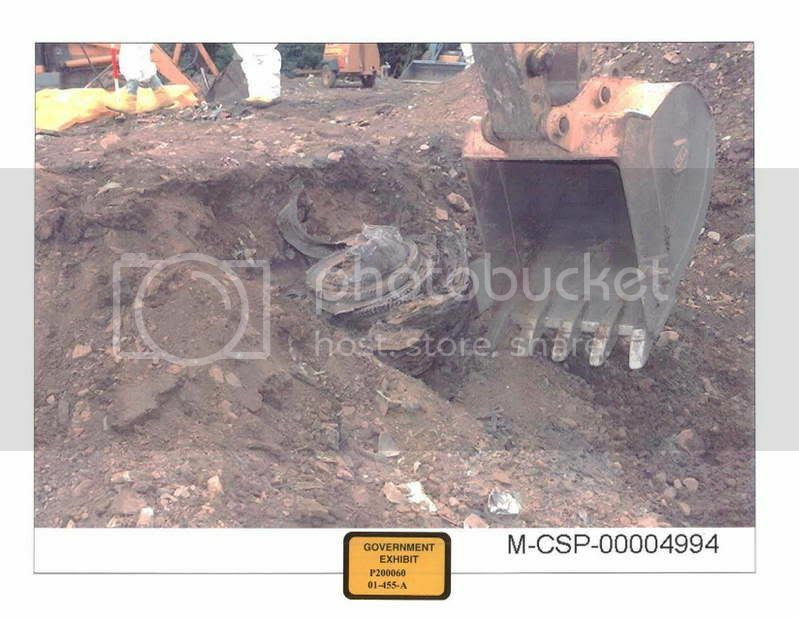 If the government version of the Flight 93 story is accurate (not), then please explain the presence of the 20-feet diameter empty hole part of all these Shanksville images. Claim: At least six eyewitnesses say they saw a small white jet flying low over the crash area almost immediately after Flight 93 went down. BlogD.com theorizes that the aircraft was downed by "either a missile fired from an Air Force jet, or via an electronic assault made by a U.S.
http://www.whatreallyhappened.com/shootdown.html ) from this empty field. 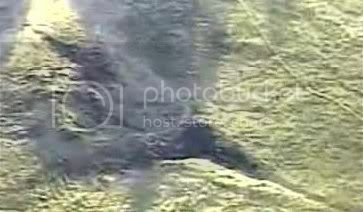 This is the image we saw on 9/11 from the MSNBC footage that clearly shows another view of the empty hole. If the image had been presented in color, then we would see the green grass growing down all the slopes where the Official Cover Story says Flight 93 wings impacted the ground. The problem with the Popular Mechanic Conspiracy Theory is that close up images also reveal grass growing on all the inclines to the very bottom of these ‘man-made’ slopes. This smoldering pile of garbage is supposed to represent the component parts of a crashed 100-ton Jetliner. The photographer is obviously crouched down inside the shallow hole to bring the grassy images into clear view. Look across at the hood of the fire truck to realize the camera lens is on the same horizontal elevation plane. Any planted evidence MUST have been placed into this crime scene AFTER the grass was removed from the slopes of this very small hole. Try to speculate on what these workers can possibly be doing in the aftermath of putting out this tiny garbage fire that did not even burn the dormant grass in this picture. Do they think Flight 93 might be found somewhere on or around the fire truck? The PM Editors >> Customs airplane reported to have been seen near the site minutes after Flight 93 crashed." WorldNetDaily.com weighs in: "Witnesses to this low-flying jet ... told their story to journalists. Popular Mechanic Editors weigh in without producing one shred of evidence for Flight 93 crashing anywhere. Since the Jetliner did not crash in this empty field, which proves the government has been lying all along, then the 911Truth is obviously explained by evidence located in another location. 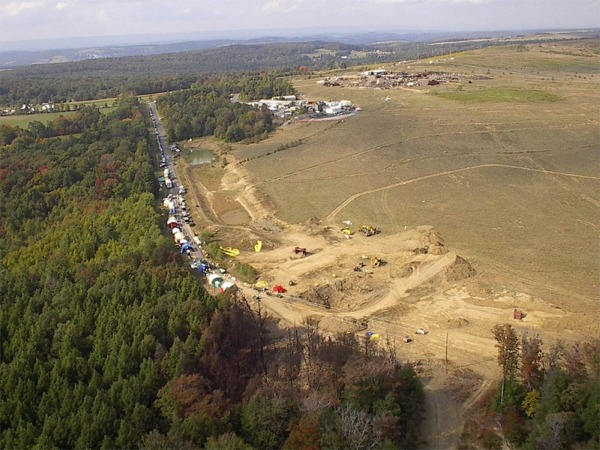 The reason we have so many explanations for the fate of Flight 93 is because the Shanksville evidence never begins to match the Official Bushie/Rove Administration Cover Story. Back up and ask yourself if this reality is the fault of any dedicated 911Truther investigating this case by careful examination of ‘all’ the evidence? No sir. The government is guilty of spreading Cover Story lies to start the ball rolling and Popular Mechanic Editors are just as guilty for running diversion by assisting in the cover up. The PM Editors >> Shortly thereafter, the FBI began to attack the witnesses with perhaps the most inane disinformation ever — alleging the witnesses actually observed a private jet at 34,000 ft. The FBI says the jet was asked to come down to 5000 ft. and try to find the crash site. This would require about 20 minutes to descend." The most insane disinformation of all alleges a 100-ton Boeing 757-200 Jetliner crashed into the ground to create a tiny 20-feet diameter hole without even creating a debris field. 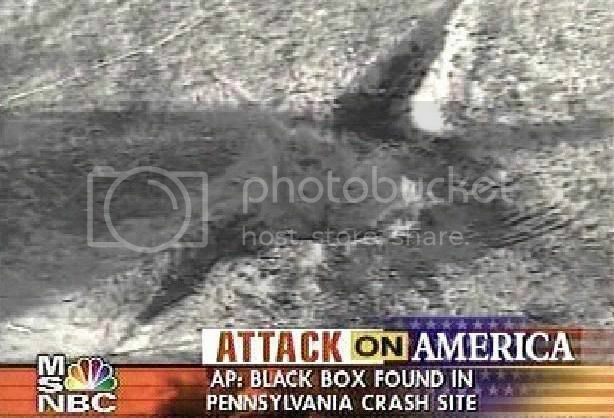 All of this hype about the FBI and white planes is a smoke screen diversion to hide the absolute fact that these Popular Mechanic Editors have no intention of showing you a picture of Flight 93 crashed anywhere. The PM Editors >> FACT: There was such a jet in the vicinity — a Dassault Falcon 20 business jet owned by the VF Corp. of Greensboro, N.C., an apparel company that markets Wrangler jeans and other brands. Fact: The presence of private planes has nothing whatsoever to do with Flight 93 crashing in this empty field. The PM Editors >> The VF plane was flying into Johnstown-Cambria airport, 20 miles north of Shanksville. According to David Newell, VF's director of aviation and travel, the FAA's Cleveland Center contacted copilot Yates Gladwell when the Falcon was at an altitude "in the neighborhood of 3000 to 4000 ft." — not 34,000 ft. "They were in a descent already going into Johnstown," Newell adds. "The FAA asked them to investigate and they did. Ask yourself why these PM Editors are wasting valuable Flight 93 article space with completely irrelevant speculation about any VF plane? A real Boeing 757-200 Jetliner has over 60 tons of high grade aluminum incapable of vaporizing into thin air at any crash site. This simple illustration debunks the ridiculous claims of the Official Bush Administration / Popular Mechanic Cover Story with no basis in reality whatsoever. The actual 20-feet diameter hole is incapable of accommodating even the two massive 6-ton Rolls Royce engines without even mentioning the 155-feet long Jetliner. However, these PM Editors are desperately attempting to focus your attention on the details of a private plane having nothing whatsoever to do with this Shanksville case. The PM Editors >> They got down within 1500 ft. of the ground when they circled. They saw a hole in the ground with smoke coming out of it. They pinpointed the location and then continued on." Reached by PM, Gladwell confirmed this account but, concerned about ongoing harassment by conspiracy theorists, asked not to be quoted directly. Even this witness acknowledges the 911Truth evidence of an empty 20-feet diameter hole in this empty field outside Shanksville confirmed in the video and the Fox / NBC News reports above. Szupinka said searchers found one of the large engines from the aircraft "at a considerable distance from the crash site." "It appears to be the whole engine," he added. Szupinka said most of the remaining debris, scattered over a perimeter that stretches for several miles, are in pieces no bigger than a "briefcase." "If you were to go down there, you wouldn't know that was a plane crash," he continued. "You would look around and say, `I wonder what happened here?' The first impression looking around you wouldn't say, `Oh, looks like a plane crash. The debris is very, very small. "The best I can describe it is if you've ever been to a commercial landfill. When it's covered and you have papers flying around. You have papers blowing around and bits and pieces of shredded metal. That's probably about the best way to describe that scene itself." Once again the credible testimony of this State Police Major agrees 100 percent with the photographic, video and eyewitness testimony from the Fox / NBC News reports that Flight 93 never crashed into this empty Shanksville field. However, the PM Editors will make every attempt to convince you otherwise . . . The PM Editors >> FACT: Experts on the scene tell PM that a fan from one of the engines was recovered in a catchment basin, downhill from the crash site. How is that possible if Flight 93 nosedived head first into the ground right here in this empty field? Do massive 6-ton engines going hundreds of mile per hour straight down into the ground bounce and roll away into catch basins in your universe? The fact is that these PM Editors never get around to presenting ‘their’ Shanksville Conspiracy Theory and reasons why the government story in NO WAY begins to match the evidence. This simple fact is the only reason these PM Editors can now enter a ‘catchment basin’ fan as part of their Flight 93 report without contradicting their own “Loyal Bushie” Disinformation Cover Story. 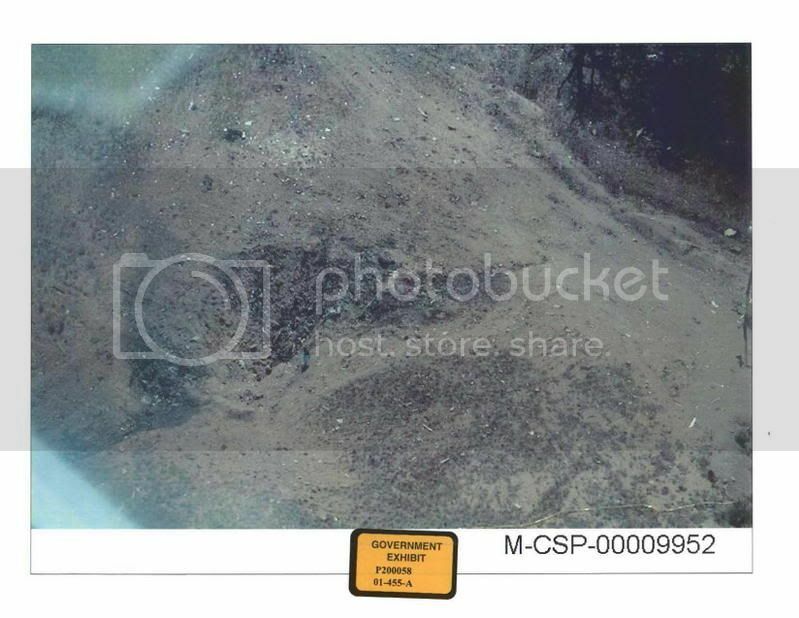 We have already seen that the testimony of State Police Major Lyle Szupinka includes much more than remarks about this single 6-ton Rolls Royce engine component from the actual Flight 93 debris field extending to cover many miles. We have reports of Flight 93 debris found “six to eight miles” ( http://911research.wtc7.net/disinfo/deceptions/flight93.html ) away in New Baltimore. The PM Editors >> Jeff Reinbold, the National Park Service representative responsible for the Flight 93 National Memorial, confirms the direction and distance from the crash site to the basin: just over 300 yards south, which means the fan landed in the direction the jet was traveling. 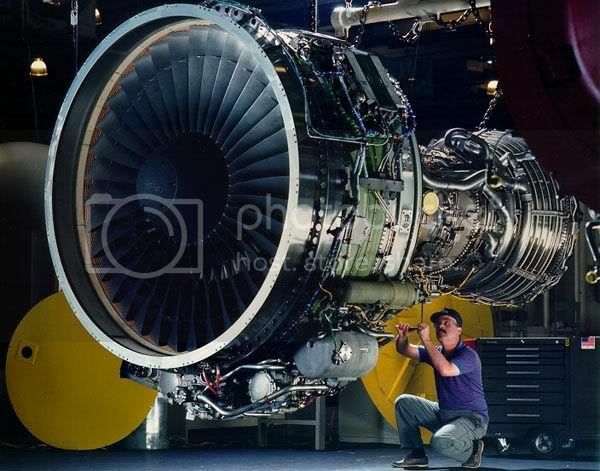 Our PM Editors never even begin to explain how a single ‘fan’ component became separated from the 6-ton Rolls Royce Engine, when the entire mass is supposed to be somewhere in proximity to this empty hole. The PM Editors >> "It's not unusual for an engine to move or tumble across the ground," says Michael K. Hynes, an airline accident expert who investigated the crash of TWA Flight 800 out of New York City in 1996. "When you have very high velocities, 500 mph or more," Hynes says, "you are talking about 700 to 800 ft. per second. For something to hit the ground with that kind of energy, it would only take a few seconds to bounce up and travel 300 yards." Numerous crash analysts contacted by PM concur. Someone please explain how this Official Government Evidence could possibly appear under the grass still growing on all the slopes of the empty hole? 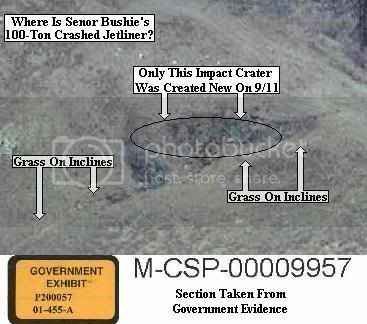 9/11 was definitely an “Inside Job” and our own government is guilty of literally ‘planting’ evidence that could not possibly be present under the grassy slopes or burning garbage of the original ‘supposed’ impact crater. What happened to Michael K. Hynes’ “bounce up and travel 300 yards” theory? This single rebuttal to the Popular Mechanic Disinformation Article shows clear signs of ‘evidence tampering’ and ‘witness manipulation’ in a bold attempt to sell We The People a truckload of Loyal Bushie Administration LIES. The reason we see so many 911Truthers pointing in so many different directions, is because our ‘do-nothing’ Congress refuses to provide “Congressional Oversight” to the corrupt and out-of-control Bush Administration. Every American should take steps to carry out their own 911Truth investigation of all these ‘related’ 9/11 attacks to realize we have massive discrepancies between the facts told by the evidence and the Official Bush Administration Cover Stories. The real 9/11 Inside Job terrorists, that really murdered thousands of Americans, are still working inside our Federal and State governments trying desperately to cover their tracks through disinformation campaigns, just like you see on display by the Popular Mechanic Editorial Staff. Thanks for the picture of another small engine next to the backhoe bucket. Cruise missle is my guess. An A-10 would have left a bit more debris. thx for your long post, Terral! Once again it is amazing, looking at the Government "evidence", that they are still able to get away with it after 6 years! was ever any jet fuel in this location nor an aircraft either. How did burning jet fuel get into the woods and not on the grass around the tiny hole? Are we supposed to believe that this landfill would act like quicksand and swallow the entire aircraft? Glub? Glub? In this photo taken from Governor Tom Ridges's helicopter on 9-11, the woods does not look as burned as it did later the next day. Was the FBI in there doing a little burning and evidence tampering for which they are so famous for? Shanksville forest mostly burned after 9/11? The aircraft debris is lower than the lip of the whole as it created the hole!! for your theory to be true the fuel would have had to travel up before it flowed down. So there is zero chance that the fuel did not end up in the hole with the other debris? Any pcitures of the hole from 1994 please? I'm not going to do your homework for you, Wibble. The 1994 photos are in this forum. I was just looking at them last night. It is not my homework as I am not trying to prove there was no aircraft. I gotta go to work Wibble. Good luck proving your implied claim that the official fairy tale is true. Interesting... Then WHAT exactly are you trying to prove? For a start that these selective pictures do not prove there was no aircraft. He. Double negative. Do NOT prove that there was NOT.. how about, the official story has so many giant holes in it that we should refer to it as official 9-11 swiss cheese? You're in denial Wibble. You display cognitive dissonance. There is absolutely NO evidence of a Boeing there, and what evidence does exist strongly suggests there was no Boeing. You're trying to defend the indefensible pal, and not many succeed at that. 1. n.,v. Commonly used to describe chatter, content-free remarks or other essentially meaningless contributions to threads in newsgroups. 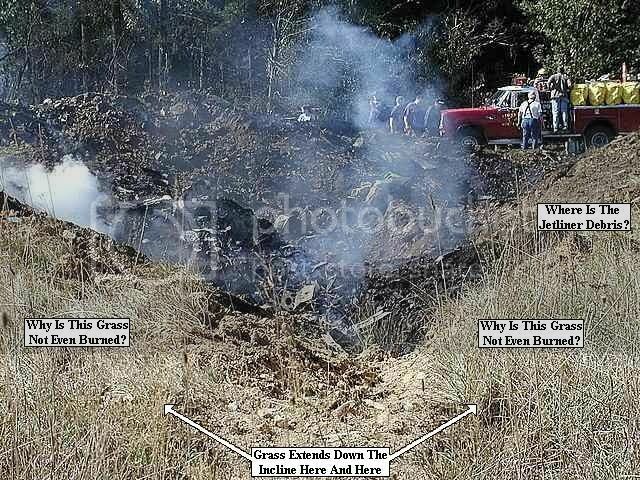 As everybody including the mayor and the county coroner have noted, and as the photographic evidence confirms, there was no Boeing airliner at Shanksville. How about they planted a bomb in the soil let it go off, added some "debris" and voila you have a Boeing crash site ? Really, they are quite lazy or it was a mistake kind of. What I should have said was there was no Boeing on the ground, at Shanksville, no airliners no pax.